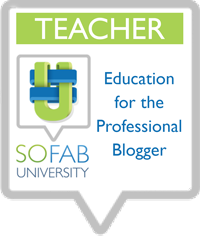 ***I received a month's subscription in order to conduct the following review. Regardless, I have since become a paying customer and the below opinions are genuine and un-altered. 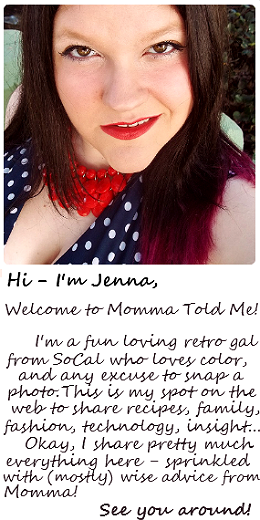 All photos are copyright Momma Told Me Blog 2013. Momma Told Me: You don't live in Japan! 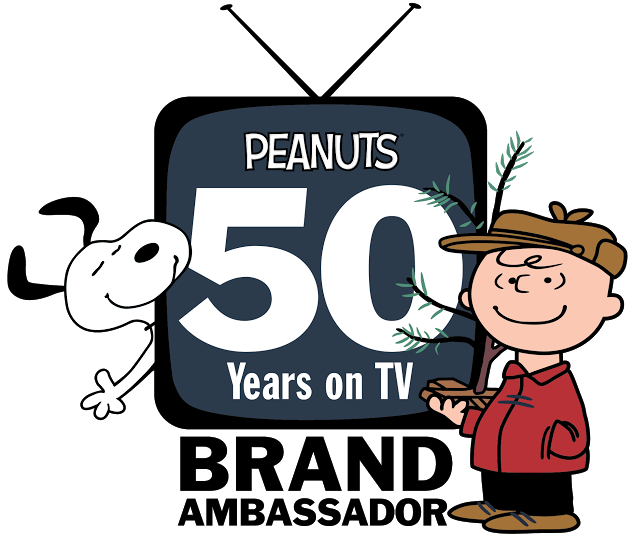 Okay, It's well known on Momma Told Me that I am addicted to my subscription box programs. I have tried countless boxes, bags, and envelopes that promise a multitude of goodies ranging from beauty to cuisine, and I have become loyal to only a handful. 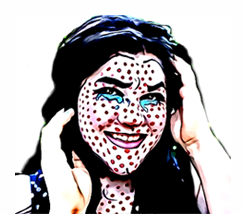 If you've shared my enthusiasm for Loot Crate (geek box), Julep Maven (nails and beauty), or Cotton Bunny (period box), then you've probably noticed I'm a little harsher on the boxes that promise snacks and/or treats. This is due in part to the fact that many snack or sweet based boxes contain items I can find on my local shelves with ease, or organic and 'fit food' samples that don't seem to stack up the money being shelled out. I love monthly subscription services, but they have to offer a unique value that helps me experience something a little out of the ordinary (for my world); a mini escape, for the money being paid. If you recall my personal story you might remember that I was flung into my Freshman year of high school at 12, in the middle of the school year. Skipping grades is hard enough (being 2-3 years younger than one's peers) without starting at the bottom of the high school chain in the middle of a school year! I was hopelessly awkward and set in position for a downward social spiral when my bookish nose stuck itself in the manga book of a nearby neighbor. My first friend in high school (despite what my bestie will tell you) was a young Japanese girl named Christine. She had the most colorful socks with crazy characters, adorable erasers shaped like food, a backpack full of Japanimation, and the most exciting lunches I'd ever seen. Every day she'd have a new sweet for me to try and I'd boldly unwrap it paying no heed to the fact that I could not discern what it was called, or what was in it. As I moved through high school, and my parents got divorced, my Father and I grew a little closer. One fateful afternoon I broke down his resolve and convinced him to finally take me to the 'Japanese Market' (Momaya) in the town over. Back then I was overwhelmed by the, now relatively mainstream, selection of Japanese shacks that lined the simple shelves. Wasabi Peas, Crunchy Peanuts, Shrimp Crackers, Pocky Sticks, Yin Yan dipping cups and Morinaga Hi-Chews quickly became special treats. In more recent years I have spent countless hours exploring the local community for small authentic markets and paying exorbitant prices for imported goods through ebay and more. 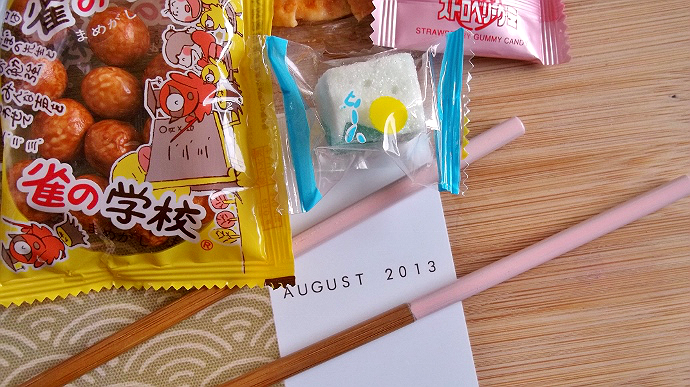 If only there was a way to receive a little slice of Japanese culture in a neatly wrapped package each month! Luckly for me, Skoshbox does precisely that; with an eclectic collection of sweet and savory snacks, alongside themed accessories, for a very low price that includes shipping. 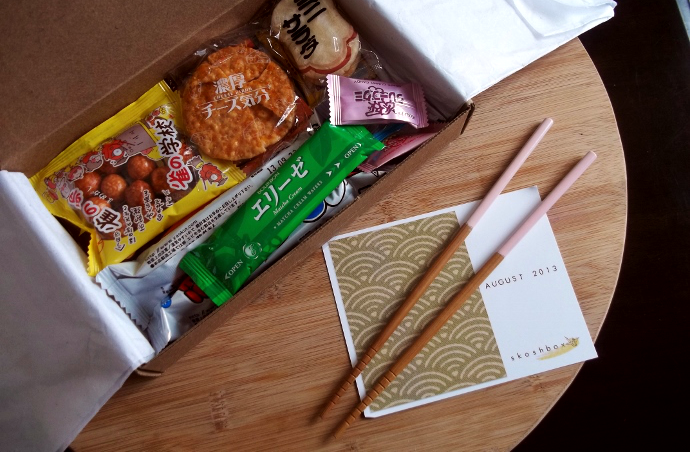 I received a sample Skoshbox for the month of August, shipped direct from Hawaii (where it is shuttled from Japan), and was initially skeptical. What would I receive for the low price of $12 that included doorstep delivery and imported specialty snacks? In hindsight I feel guilty for ever doubting Skoshbox- 9 varrying edible items and a pair of Hashi (chopsticks) bubbled out of the box upon first crack. Not only were these full size treats, but some of them had more than one quantity to enjoy, which meant I could share the exploration with Jay. Some less adventurous subscribers may not be fond of the lack of translation on the packaging, but Skoshbox does include a card with a complete breakdown of the items inside. Some of this month's highlights include Cheese Kibun- cheese coated rice crackers, Elise Sticks- lightweight wafers filled with Matcha Green Tea filling, and Fuwa Fuwa Jelly- giant marshmallow cubes with melon chews suspended. Naturally, like most subscription box services, Skoshbox sells the items found in each month's box online through their web store. This is one box program where I don't find this to be pushy, in fact the opposite, this is a very nice bonus. 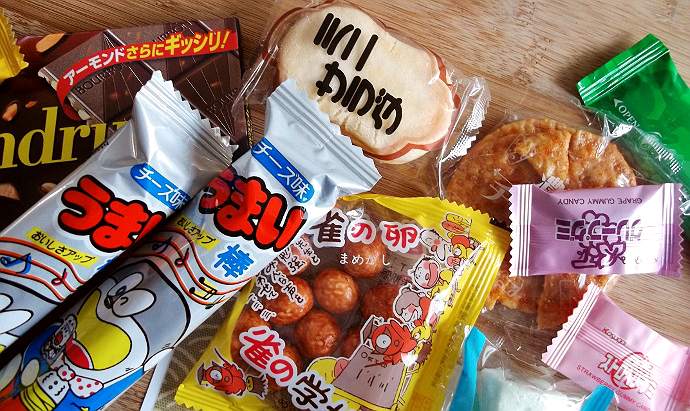 I have a hard time finding some of the more obscure Japanese sweets and snacks locally, and I love that I can order them through Skoshbox with no added fuss. Flavors do vary within the available range, so there is always more exploring to be done on the website, should you fall in love with a particular brand or style of treat. 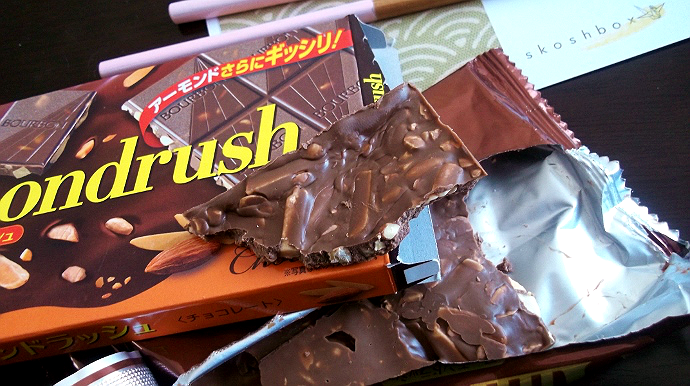 This month's box included a full size bar of Almond Rush, a milk chocolate bar packed with slivers of almonds, perhaps the most impressive value of the selection. 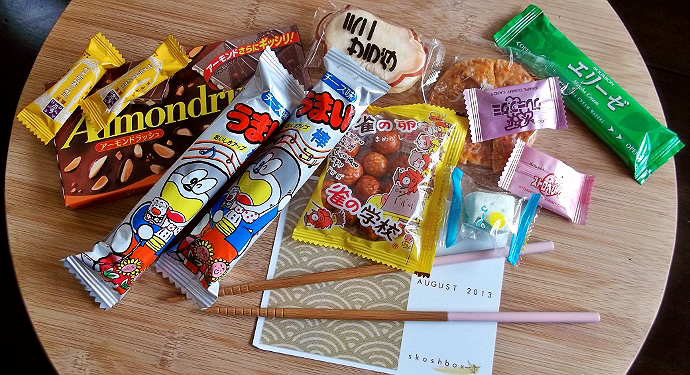 In all, Skoshbox is worth every penny for any curious foodie, or Japan-lover; I have already paid for September's box! 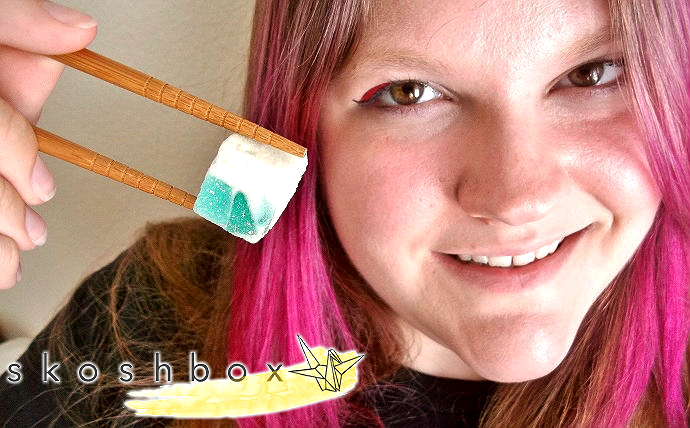 What Daughter Says: Enjoy a taste of Japan, without going broke, thanks to Skoshbox's carefully curated Japanese treats. One Momma Told Me reader will win one month of Skoshbox! I think I'd like to try the milk caramel, or the cheese kibun most - everything looks interesting though. What a great product! SUZUME NO TAMAGO the Sparrow eggs look really interesting. A lot of the things in the box look like a lot of fun to try. I'd like to try the Almondrush. Theese Cheese Kibun sounds really good. My daughter is OBSESSED with Japanese culture. She would love to win this! I love Japanese snacky things! I would love to try the milk caramel. I would like to try the cheese kibun! I'd love to try the SUZUME NO TAMAGO. I want the Japanese gummies!!! I've had them before and they are awesome!! I like the cheese kibun, yum! 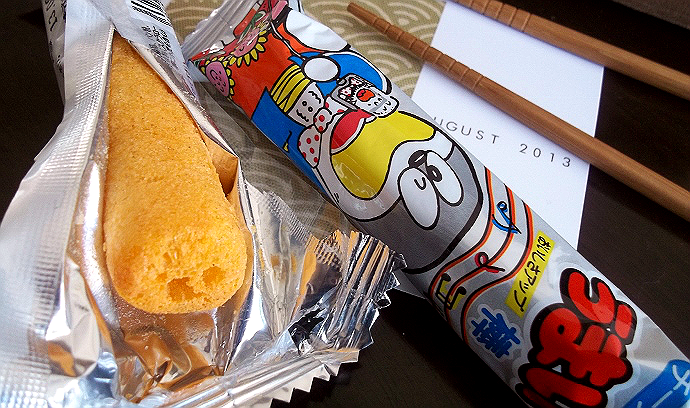 Japanese snacks are tasty and ususally healthy. The Mini Salad rice crackers look tasty! I would love to try the Mini Salad! Would like to try the SUZUME NO TAMAGO, they sound yummy. 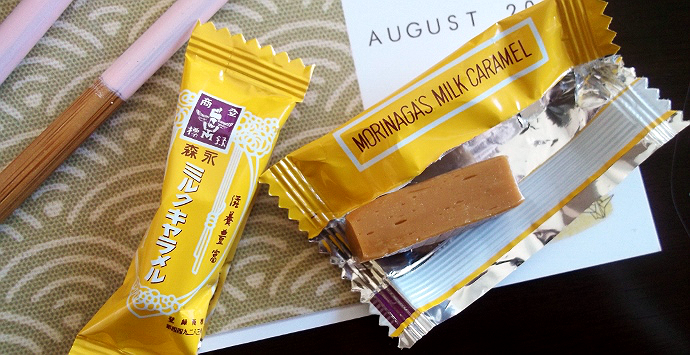 It's hard to choose what looks better between the Milk Caramel and the Almond Rush! Both look so delicious! I would love to try the ALMOND RUSH white chocolate, sound great to me. How interesting this box appears to be, wonder if anyone makes a box that goes from different countries with different treats each month would be great idea. Thank you for sharing this information with us. I think I'd love to try the FUWA FUWA JELLY in either flavor. I'd really like to try the ELISE STICK! I'd most enjoy trying the Almond Rush. A soft chewy milk caramel square- a very classic snack! The Almond Rush sounds yummy. The Elise stick sounds delish. The ALMOND RUSH sounds good! I'd like to try the Suzume No Tamago. I would love to try the ALMOND RUSH.